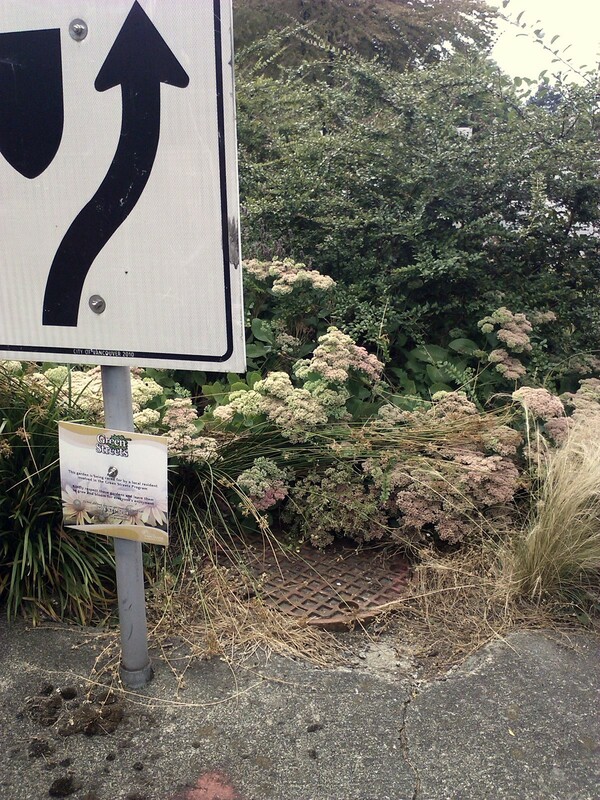 Last weekend we went on a walking tour in our neighbourhood: St. George’s Street Rainway – bringing a creek back to a city street, part of a series put together by the False Creek Watershed Society. Led by Greta Borick Cunningham, a keen naturalist who is very interested in the local ecosystems. With a recent BCIT diploma in Sustainable Resource Management under her belt, being part of the Rainway group, the Chair of the False Creek Watershed Society & living on St. George Street, she was the perfect leader for this walk. 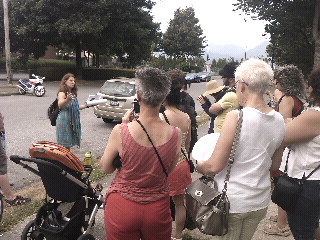 About 15-20 of us met in Robson Park by the Storyteller's Cob Bench that sits outside the Mount Pleasant Family Centre. From there, we walked north along St. George as Greta described where the creek went & what the plans are for the daylighting: bringing the creek back to life. At 12th Avenue, we took a look at the community garden in the grounds of Florence Nightingale Elementary. 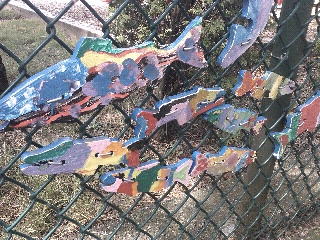 The fencing around the school yard is decorated with what's become a familiar sight in Vancouver: brightly coloured wooden cutouts of salmon. Called the Stream of Dreams, the vibrant fish were painted by the students of Nightingale, part of a much larger watershed education program through community art. A sign near the fish reminds us that all drains lead to fish habitat. At 10th Avenue, we stopped for a moment to talk about the two projects there: the St. George Lending Library & the stonework mosaic in the centre of 'Gather Round', Vancouver's smallest park. If you're interested in more details, I blogged about both of these projects here on The Sprog, in Mount Pleasant Pride. At 7th and St. George got a close look at the new mural, created by the St. George Street Rainway group to bring awareness about the proposed daylighting of St. George Creek. Generally murals are on walls--I believe that's the origin of the name--but this one is painted down the middle of the road, directly on the asphalt. The St. George mural features the word water in the many languages of the people who worked on the project. There is a special emphasis on Halkomelem, the language of the original people of Vancouver. The mural features several mandalas nestled among the flowing blue & green fish, rain drops & other shapes. Each of the larger mandalas features a design based on the life cycle of the salmon that once would have populated St. George Creek. I won't show you any photos of it--go see it yourself! It's on St. George, between 7th & 8th Avenue. Our next stop was a second stonework public art project created by Krista Morrison, who did the mosaic at 10th Avenue. The sinuous pathway of stones & recycled concrete pieces reference where the original route of the stream might have been, with the standing stones representing the water bursting up from the ground. Hidden under the heavy iron cover is a creek. When we got down to 6th Avenue, we all stepped into the traffic circle to listen to the creek sluicing though the culvert below the manhole cover. The water is only audible up at street level when it gets going on the downhill of this buried waterway. People involved with the planning process of the creek daylighting project say that the city is very eager to follow through on this project. The plans to restore this stream bringing it back up to the surface next to the sidewalk along St. George street are pretty exciting. It will never again be the natural little salmon stream that it once was, but getting it out of the culvert & bringing it back to life with native plantings & hopefully wildlife someday will be a great improvement over a lonely dead little stream in a dark culvert under the street. 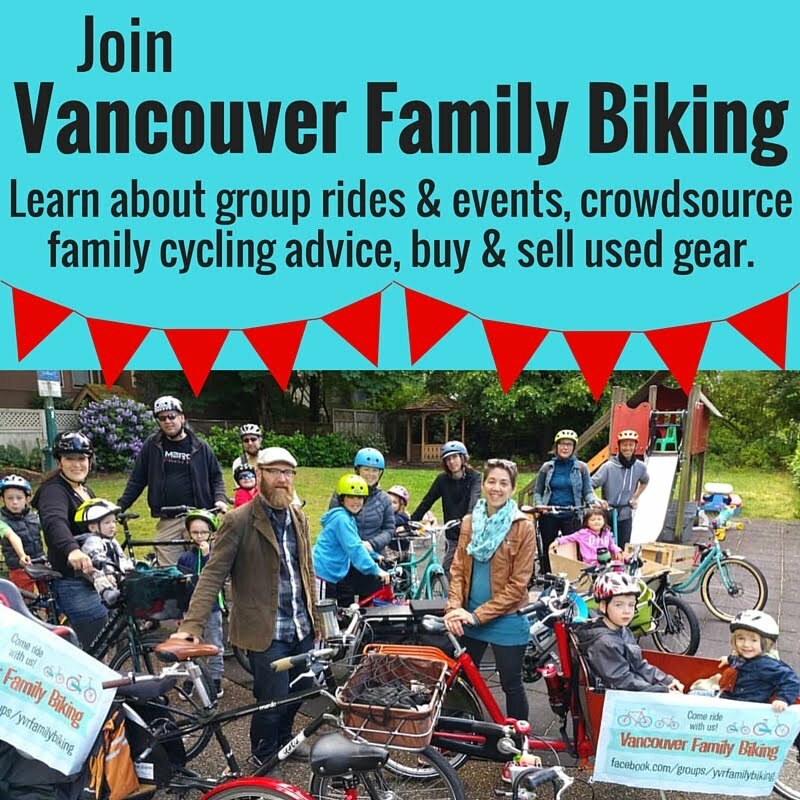 If you'd like to get involved or hear more about the project, take a look at the Facebook page of the St. George Blueway (it's alternately called Rainway, Greenway & Blueway) or join the Facebook group.